Have you ever given a bouquet of flowers to someone, only to be met with a sneezing fit? For some people, flowers in the home are just a hayfever attack waiting to happen. But no one should have to miss out on pretty petals this spring. For the love of gift-giving, we have compiled a list of the best flowers you can give an allergy sufferer, so that everyone can enjoy some beautiful blooms. Hydrangeas are not only gorgeous in a variety of colours, but they are great for allergy sufferers. Low on pollen and high on petals, a bouquet of these beautiful flowers will make any house look like it’s straight out of a fancy home magazine. Romantics of the world, breathe a sigh of relief! Roses are a popular flower for every occasion, and best of all, they are okay for most allergy sufferers. Though they do carry pollen, the pollen is unlikely to become airborne, so shouldn’t be too problematic in a sneezy househould. 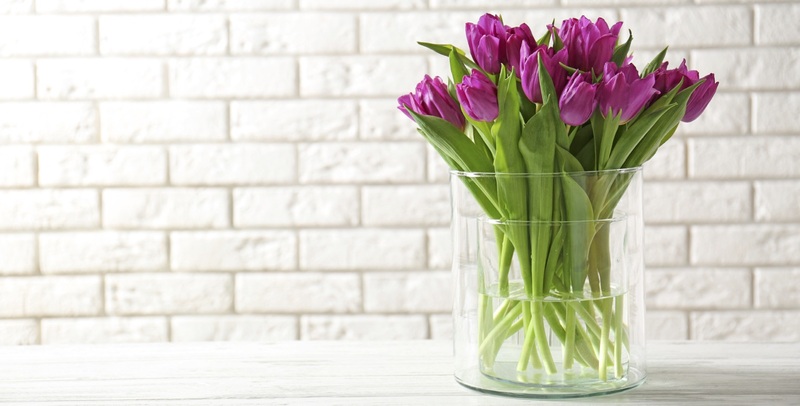 Just ask the Dutch: tulips are stunning. A beautiful bunch of bright tulips will bring joy to any room, even to someone who suffers from hayfever. With a low pollen count, and lots of gorgeous colous, tulips are a safe bet. There’s something about orchids; they are just… classy. Whether it’s because they are in so many waiting rooms, or the tender love and care it takes to grow them, orchids are an especially posh family of flowers. And best of all, nearly all species are low on pollen. If flowers are just too risky, there’s always a good ol’ catcus. Remember, they come in more varieties than just spiky, and most importantly of all, they are VERY easy to please. Lazy gardeners will love them. Go on, give your sneezy friends a treat, with a low dose of pollen and a high dose of colour. If in doubt, check with your local florist about the pollen in the flower you choose, and your bouquet will be met with tears of joy instead of watery eyes. Flowers for the win!